Watch Mary and Todd on YouTube. With expert timing and knock-out delivery, Mary Carrick and Todd Brooks have been captivating audiences across the Midwest with their charming and critically acclaimed cabaret shows that combine exquisite vocals, unique interpretations, delightful patter and theatrical flair. Mary, with her lush and expressive vocals, can turn a song on its heels. Todd glides across the ivories and makes the piano come alive. With a stage rapport that shines, coupled with their playful, passionate performance style, they bring a fresh energy to timeless classics and introduce audiences to songs that are sure to become favorites. Perfect for and intimate or large setting, Mary and Todd infuse their shows with a wide range of music, including Broadway, standards, jazz, selections from the Great American Songbook and whimsical, lesser known gems. They blend the fondly familiar, tender ballads and Broadway show-stoppers with humorous numbers that will have the audience laughing out loud. In addition to their packaged cabaret shows, they can customize programs to fit any group or occasion. 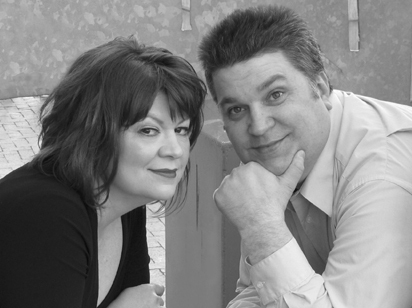 Mary and Todd are the recipients of an Outstanding Cabaret Award from the Theatre Arts Guild (Omaha metro) and nominations from the Theatre Arts Guild and Omaha Entertainment & Arts Awards. Some People: Songs from Broadway and Beyond: Classic cabaret with a theatrical flair that intertwines the familiar with songs that are sure to become new favorites, along with a few twists along the way. Love Notes: A celebration of love and friendship. A show that will warm your heart, tickle your funny bone and have you tapping your toes. Silver Bells and Candy Canes: A Holiday Cabaret: A nostalgic celebration of the season including festive and familiar favorites with a fresh approach, along with holiday gems to make spirits bright. Customized shows are also available. Technical requirements: Well-lit stage area, tuned grand or baby grand piano (if available, but not required), sound system/amplification/sound operator (if available, but not required) and access to a power source. Note: If a piano is not available from the sponsor, Mary and Todd can travel with a professional grade electric keyboard. While an in-house sound system is optimal for performance, Mary and Todd have a sound system available that is suitable for a small to medium-sized venue, if needed.